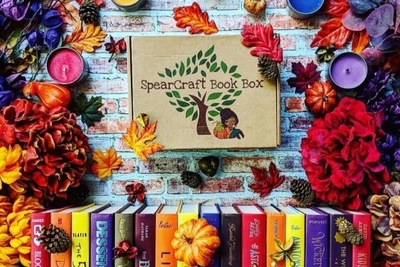 Enter your email address below to receive a notification when SpearCraft Book Box starts accepting new sign-ups! 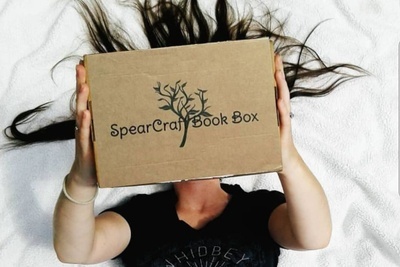 Enter your email address below to receive a notification when SpearCraft Book Box is accepting new sign-ups again. 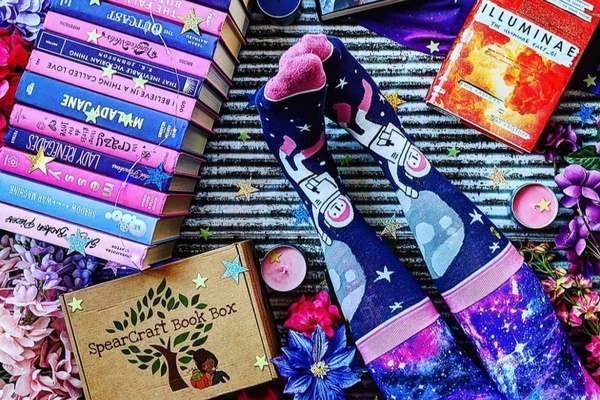 Delivering your favorite books & fandoms monthly! 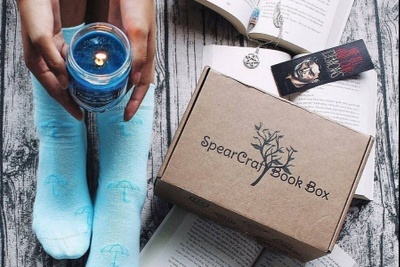 SpearCraft Book Box Monthly is a subscription box that sends a newly published Young Adult novel and 6+ bookish / fandom goodies to your door. 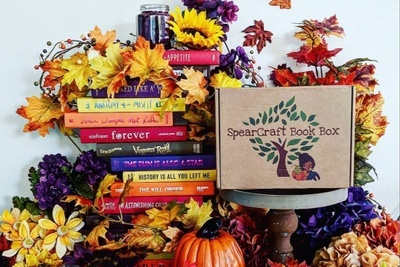 SpearCraft Book Box quarterly is a deluxe seasonal book box that ships 4 times a year, 10% goes to charity. The Cat box is a quarterly box for cats and their humans! 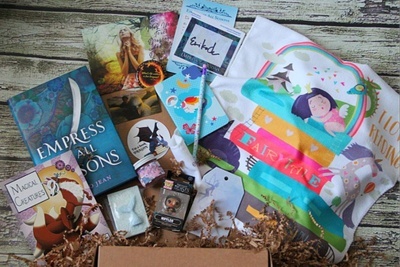 Middle Grade book box also available!! 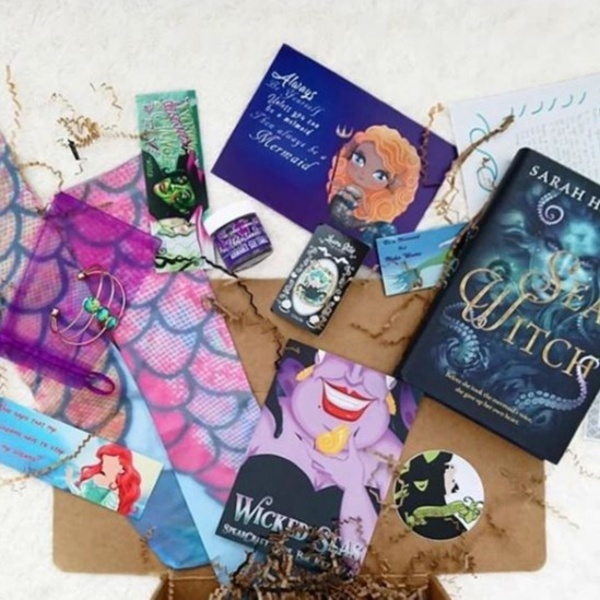 Amazing Value with the box packed with a brand new book and usable FANDOM items. 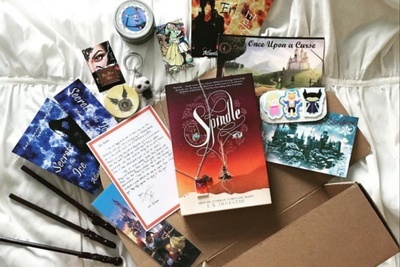 Monthly YA, Quarterly YA, Monthly Middle Grade, Special Edition boxes, Cat lover box, and Candle boxes all available! We have 5 different boxes to choose from! 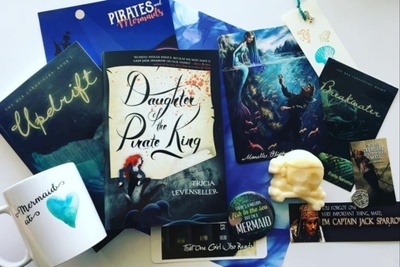 Monthly Instagram photo contests, giveaways, win gift cards! Unique monthly themes with handmade and exclusive items! 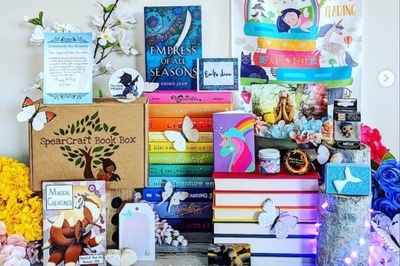 Spearcraft's creator takes great care in crafting her crates -whether monthly book or seasonal crate or special edition (plus the new ones that I have yet to sample of middle grade & candle, the list grows)-they are curated for book-themed usable items of candles, jewlery, stickers, socks, bookmarks, bath bombs. When you have any question or a shipment issue, Laura is right-there to guide you through it in a kind, professional and thorough way. 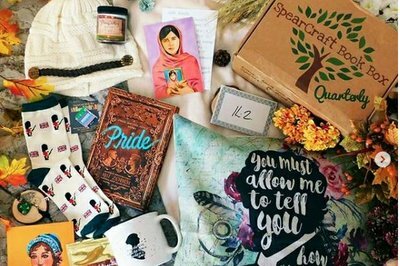 In addition, her seasonal crates donate partial proceeds to local charities. Truly a gift that gives joy all around. Applause! 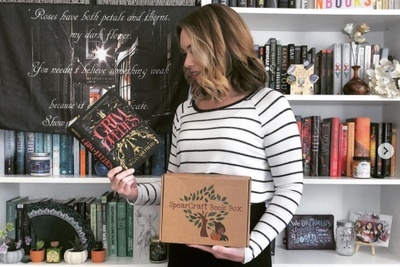 Recently, I received the January Spearcraft Book Box Cursed Kingdoms. 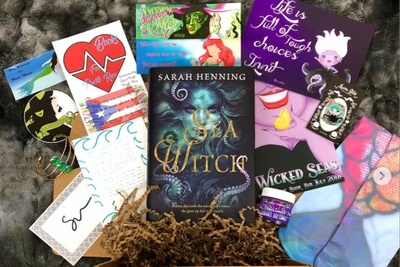 The box feature 2 books, a small candle, a tote bag, 2 double sided bookmarks, a pop socket, a necklace, art print, author letter, signed book plate, a magnet, a sleep mask, and postcard featuring a book release. 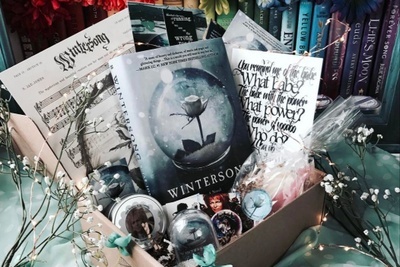 This box was jam packed with great bookish fun. 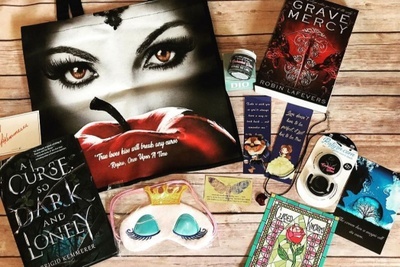 I was a major fan of the theme, featuring items inspired by Snow White, Once Upon a Time, Sleeping Beauty, Beauty & The Beast, and Strange The Dreamer. 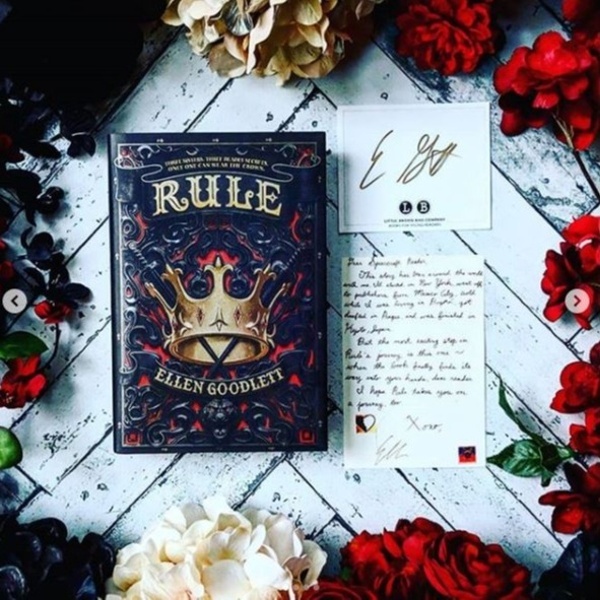 Both books feature it the box are highly exciting to me, I can't wait to read both of them! The Beauty & The Beast bookmarks are adorable! 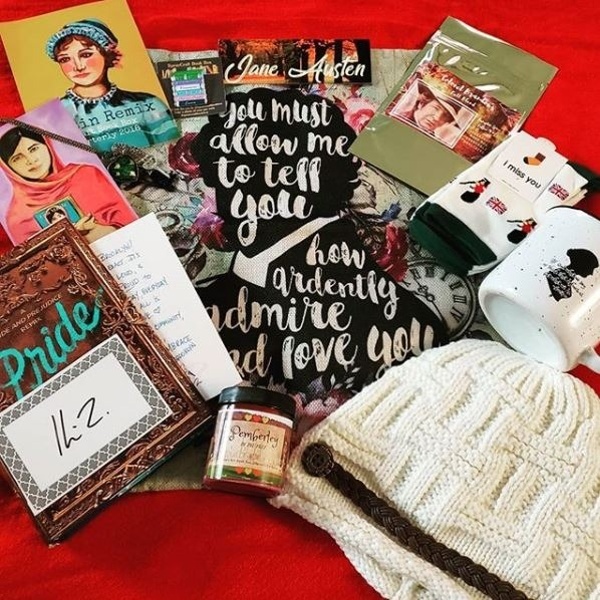 I loved every single item in the box! Also Spearcrafts open communication with their customers is fantastic and conforting. 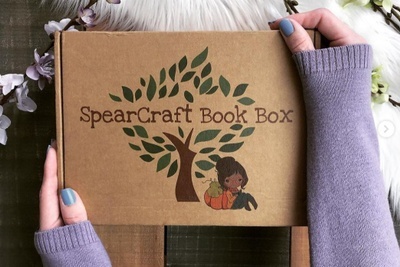 I am excited for the February box and look forward to see what awesome goodies Spearcraft will send me next! Wow! The first box was a huge hit for my 13 yo daughter. She was so excited to unpack everything and loved finding out the book had just been released. 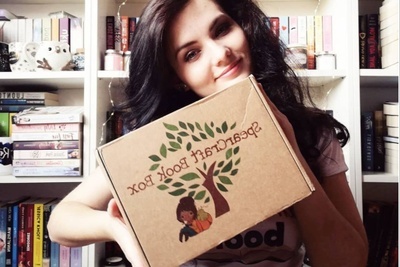 She has enjoyed reading it and looking forward to the next box. Thank you for all the detail and creativity in each box. 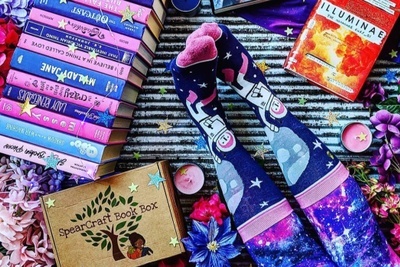 New hardcover book, author swag, candle, socks, enamel pin, jewelry and more! Each month delivered to your door for $29.99. 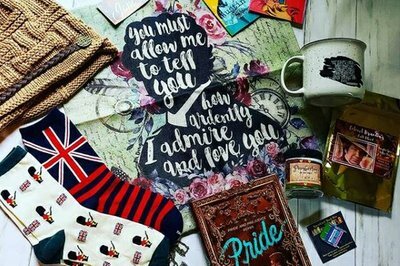 New Hardcover novel, knit hat, socks, oversized mug, coffee, pillowcase, candle and more!! over $100 retail. 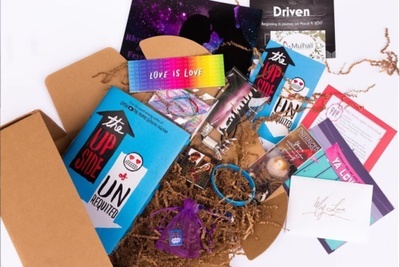 Our quarterly boxes are deluxe!